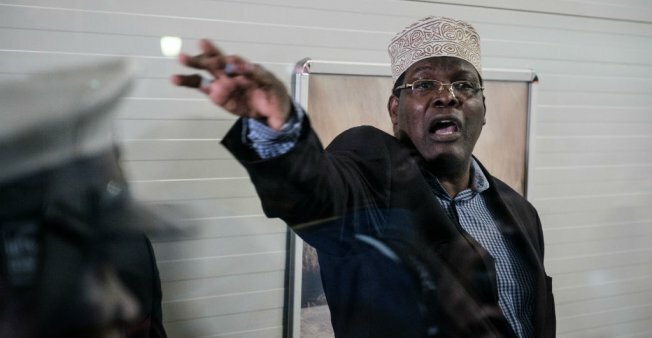 Saturday August 25, 2018 - A section of Kenyans have asked deported lawyer, Miguna Miguna, to desist from creating drama at Jomo Kenyatta International Airport when he returns to Kenya. In a tweet on Thursday, Miguna said that his problems are coming to an end and that he will be making a grand come back after September 4th. However, Nairobi residents reacted differently to Miguna’s new return date. “Miguna should stop this drama and be ready to follow the law if he really wants to return,” Joseph Kamau, a Nairobi resident, said. “Miguna should come back if he is ready to support the handshake, Kenyans are tired of drama and are moving on,” Moses Otieno said. Otieno claimed that Miguna is a troublemaker and he will derail the handshake between President Kenyatta and National Super Alliance leader, Rala Odinga. “Miguna has to tone down and stop malicious attacks against the president and opposition leader if he wants a warm reception,” Otieno added. only fools come zombies support those cults with nothing but a burden to the nation. Welcome the hope and aspiration of Kenya with Golden balls to face the mad cow cults.